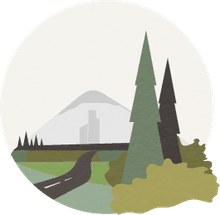 Generations in the United States are defined as social groups of people born around the same time who share similar cultural traits, values, and preferences. In the U.S. today, many people readily identify themselves as Millennials, Xers, or Boomers. But these generational names are a fairly recent cultural phenomenon and they vary depending on the source. Historians generally agree that the naming of generations began in the 20th-century. Gertrude Stein is considered the first to have done so. She bestowed the title of Lost Generation on those who had been born around the turn of the century and bore the brunt of service during World War I. In the epigram to Ernest Hemingway's "The Sun Also Rises," published in 1926, Stein wrote, "You are all a lost generation." Generational theorists Neil Howe and William Strauss are generally credited with identifying and naming the 20th-century generations in the U.S. with their 1991 study "Generations." In it, they identified the generation that fought World War II as the G.I. (for government issue) Generation. But less than a decade later, Tom Brokaw published "The Greatest Generation," a best-selling cultural history of the Great Depression and World War II, and that namesake stuck. Canadian author Douglas Coupland, born in 1961 at the tail end of the Baby Boom, is credited with naming the generation that followed him. Coupland's 1991 book "Generation X: Tales For an Accelerated Culture," and later works chronicled the lives of 20-somethings and came to be seen by some as defining that era's young. Generational theorists Neil Howe and William Strauss suggested the name Thirteeners (for the 13th generation born since the American Revolution) for Generation X, but the term never caught on. Credit for naming the generations that followed Generation X is less clear. In the early 1990s, the children following Generation X were often referred to as Generation Y by media outlets like Advertising Age, which is credited with first using the term in 1993. But by the mid-'90s, as buzz about the turn of the century grew, this generation was more often referred to as Millennials, a term Howe and Strauss first used in their book. The name for the most recent generation varies even more. Some prefer Generation Z, continuing the alphabetical trend begun with Generation X, while others prefer buzzier titles like Centennials or the iGeneration. 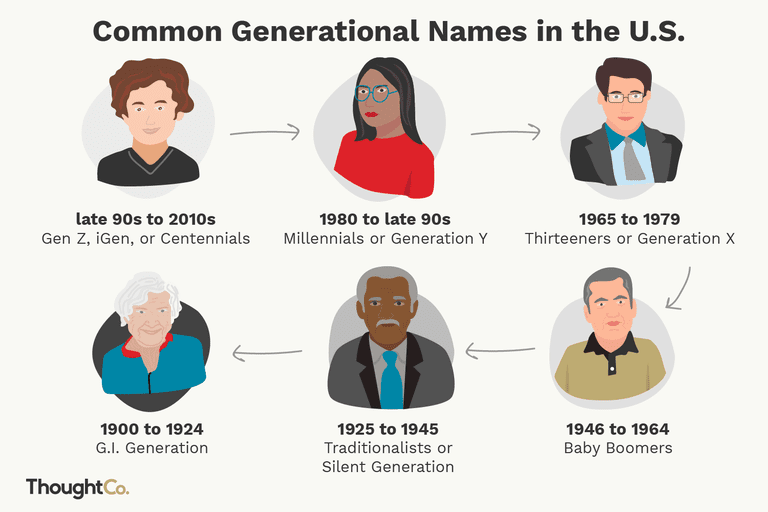 The Names of Generations in the U.S. While some generations are known by one name only, such as the Baby Boomers, names for other generations is a matter of some dispute among experts. Naming Generations Outside the U.S. It's worth remembering that the concept of social generations like these is largely a Western notion and that generational names are often influenced by local or regional events. In South Africa, for example, people born after the end of apartheid in 1994 are referred to as the Born-Free Generation. Romanians born after the collapse of communism in 1989 are sometimes called the Revolution Generation.